My new post will be up at Beautifully Rooted today! 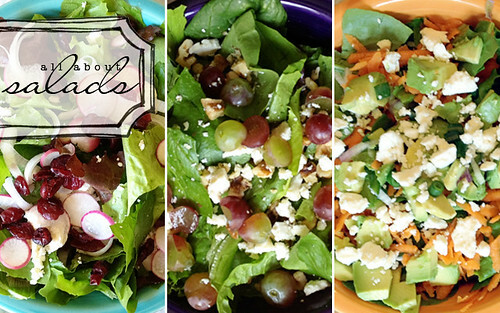 If you liked the salad in the salad gift set post, you'll probably like today's post. Here's the link, check it out and let me know what you think. yum! my favorite salad is spinach with grilled chicken, strawberries, toasted walnuts & ramen noodles with poppyseed dressing. can't wait to try your new ideas! Delicious Lesley! I can so agree with what you wrote about your Garden and Christ. Just yesterday when I was working in the garden I thought of how many times in the bible they talk about seeds and sowing and pruning. It all became so real to me then. As I was planting and praying my seeds grow I kept thinking about having Faith like a mustard seed. When you see the size of seeds that really takes on a whole new meaning. Can't wait for my salad garden to grow! Thanks, Vicki! I know, I think about it especially when our tomatoes are growing. The fruits of the vine and fruits of my spirit. I talk to Christ more when I'm in the garden than any other time in my life. Thanks for stopping by and talking!